After a hard fought battle all the way through group stages, and all the way through semi-finals, quarter finals and the finals against Na'Vi, Luminosity Gaming have come out on top and won the MLG Columbus major. MLG Columbus was a huge success, with the viewer count peaking at around 1.3 - 1.5 million viewers during the final, and the average viewers lingering around 600k - 900k during the groups and semi/quarter finals. 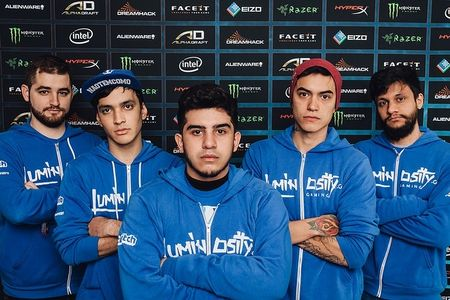 Luminosity didn't have it easy getting to the finals though, as they had to battle through Virtus.pro in the quarter finals and Team Liquid in the semi finals to finally play Na'Vi. Looking at the games here, their bout against Virtus.pro actually took all 3 games, with Luminosity actually dropping game 1 but then rebounding back for the last 2. Their series with Team Liquid resulted in a clean sweep. The finals were a close fought game during map 1. After both Cache and Dust II had been banned, map one was determined to be Mirage with Luminosity as the Terrorists. 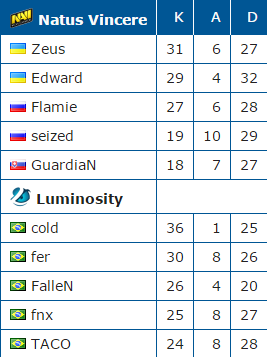 Surprisingly enough, Luminosity only managed to pick up 4 rounds as Terrorists, with 11 going towards Na'Vi. Something clearly clicked on the CT side as this time around, it was Na'Vi who were limited to 4 rounds and Luminosity who took 11 to force an OT where they would eventually clinch the game. Map 2 was Overpass, chosen by Na'Vi but to everyone's surprise, Luminosity ended up wiping the floor with Na'Vi, as Na'Vi only managed to pick up 2 rounds in the whole game before eventually succumbing to their defeat. It seems as Na'Vi were simply caught off guard with the risky playstyle that Luminosity were adapting to. 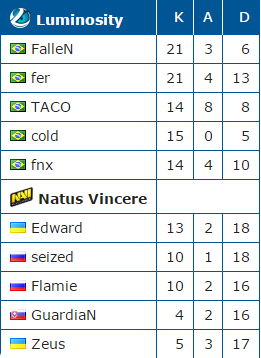 The Brazilian lads on Luminosity definitely put up a strong fight, but as did Na'Vi. If you're interested in the scorelines for both matches, then please direct your attention to the pictures below. What do you think? Was this an exciting major? Do you want to see more majors in North America? Leave your thoughts below! TestiCat, SharpGhost, denz and 3 others like this.